Jer Shin Enterprise Co., Ltd. was founded in Taiwan in 1978. We have been working in wire harness; cable assembly and electronic devices for more than 30 years. In year 2002, we built our first production base in Shenzhen, China. The company name is Jer Shin Electric (Shenzhen) Co., Ltd. Hoping Jer Shin Enterprise Co. Ltd. can be your best choice & partner in wire harness and cable assembly. Copyright © Jer Shin Enterprise Co. Ltd. / Jer Shin Electric (Shenzhen) Co. Ltd. / Fortune Electric Tech Co.,Ltd. 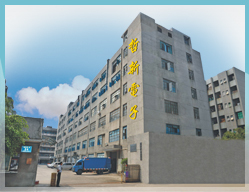 China : 2F, Building 39,3rd Area,Mashantou Industrial Zone,Gongming Town,Guangming Dstrict, Shenzhen, Guangdong, China.